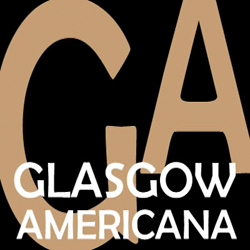 Now in its 11th year, Glasgow Americana brightened up the dark nights coming in as we prepare for winter. Over five days the festival provided a strong set of concerts which showcased some of the brightest talents from the Scottish roots scene along with the usual complement of visiting stars. Altogether over 20 acts appeared at several venues across the city with many of the shows selling out, the venues including converted churches, a brewery, tiny pub back rooms and, according to Michael Weston King of My Darling Clementine, a squash court. As often happens when such a lot of music is squeezed into such a tight time line there were clashes meaning your correspondent had to forego some shows however online comments and actual chat with those who had gone to those shows beamed back with positive smiles and thumbs up. There was a fine mix of standard gigs featuring a headliner along with a couple of portmanteau shows offering a range of acts playing shorter sets. Of the former, Slaid Cleaves was in fine form as he relayed several songs from his latest album, Ghosts On A Car Radio, along with many from his back catalogue with several of these played in response to audience requests. Cleaves was accompanied by Danish guitarist MC Hanson (or Hammer as Slaid accidentally introduced him) who provided some very tasty guitar licks throughout the night along with one song of his own which had a strong Gospel feel to it. Kicking off with Horseshoe Lounge and then Drinking Days before swinging into a couple of songs from the new album (including the excellent Drunken Barber’s Hand) Cleaves had the audience eating out of the palms of his hand already. While it seemed to be his romantic side that some of the crowd craved as he sang requests for Without Her and Don’t Tell Me, he also displayed his lighter side with the sly humour and yodelling of Texas Love Song (altered to offer a nod to Whispering Bob Harris) while the yodelling was again on show on God’s Own Yodeller (no surprise really). With some fine tales to tell- the origin of Drunken Barber’s Hand, his job history, the lack of dead bodies in his songs according to one Scottish reviewer – Cleaves was just excellent throughout the night and it was a pleasure to be in his company. Offering a headline slot to Martha Fields was a bold move on the part of festival organiser Kevin Morris as Martha, an American who divides her time between Texas and France, had only played in the UK as part of last year’s Southern Fried at Perth. With two albums under her belt, recorded with a whip smart bunch of French musicians who seem to be the equivalent of southern American studio bastions such as the Muscle Shoals crew, Fields is a perfect example of an artist building up momentum via live shows and social media hurrahs. Her appearance here was at the tail end of her first UK tour with reviewers salivating over her and her band’s excellence and in Glasgow, she more than fulfilled our expectations. A colourful character, adorned with a spectacular feathered hat (bought in the Highlands); Fields is an earthy and ebullient performer with roots in Appalachian music, blues, folk, Native American and old country Celtic themes. Last time we saw her there was a full band complement which, in all honesty, recalled the glory days of Emmylou Harris’s Hot Band, here it’s an acoustic trio format with Manu Betrand on banjo and Dobro and Olivier Leclerc on fiddle, both excellent. Kicking off with Born To Boogie before launching into the fiery polemic that is Southern White Lies Fields immediately laid her cards on the table, determined to give you a good time but also keen to inform. Her set contained several moments where she offered insights into her own family’s roots, aligning these with the plight of displaced and downtrodden folk, along with some shitkicking music that just spread an infectious joy throughout the audience. Whether encouraging us to join in on some Hillbilly Bop, celebrating Janis Joplin with a slithery blues rendition of What Good Can Drinkin’ Do, inhabiting Jimmy Rogers on Going To California or just going hell for leather on a fantastic banjo driven Hard Times, the three musicians showed they could whip up a storm. But where Fields really shows her mettle is in her songs forged from history and her family’s roots. Do As You Are Told, inspired by an aunt, is a striking affirmation of women’s’ rights, Where The Red Grass Grows, a song hewn from her part Cherokee bloodline was as powerful as anything Buffy St. Marie has done and it was delivered with an incredibly able country rock vibe that harked back to the seventies. Meanwhile, the aforementioned Southern White Lies remains a clarion call for all those abandoned in the current state of The States. Throughout the night, Leclerc and Betrand totally destroyed any notion that you have to be within sniffing distance of the Mississippi to be able to play “Americana.” Leclerk’s fiddle was as Appalachian as Appalachian apple pie when required while he also added some neat Gallic touches to some of the songs while Betrand’s Dobro and banjo playing was as fine as any we’ve ever seen or heard, their skills well displayed towards the end when Fields left the stage to them for an instrumental master class. As she poured all into a biting rendition of her “poisonous love song,” Dead End along with the Carter Family like bluegrass delight of What Are They Doing In Heaven Today along with some new songs such as Texas To Paris, Fields and her French compadres were just about perfect. If you haven’t heard her before you need to do yourself a favour and check her out. The other headlining act we saw was My Darling Clementine, the husband and wife duo of Michael Weston King and Lou Dalgleish who have, over the past few years, rebooted the classic male/female country duet with style and humour. Joined onstage by Al Gare on double bass and Iain Sloan playing guitar and pedal steel, the pair were in terrific form with their usual theatrical bickering raising several laughs. Just as with The Handsome Family, the marital barbs amuse but the level of music raises My Darling Clementine well above the level of a novelty act. There’s a sincere love of the genre in their writing and performance and several songs from their latest album, Still Testifying, showed that they continue to progress with a country soul sound seeping into the music, a sense reinforced by guitarist Sloan’s Memphis like licks which drove several of the numbers. Having said that they opened with the weeping Mexicali strains of King Of The Carnival before the smooth country pop of Going Back To Memphis and the classic country duet, No Heart In This Heartache reminded one of just how good their back catalogue is. After this triple opening whammy, King welcomed the audience adding how glad he was to be back playing in “the squash court,” referring to the windowless box like room they were playing in. The slow burning Our Race Is Run, a song that could have graced any number of Stax albums, featured superb singing from both King and Dalgleish with Sloan’s guitar ringing out on his solo and the first song from the new album. Yours Is The Cross That I Still Bear continued in a similar vein. They heightened the tension with an excellent rendition of Since I Fell For You, another song from the new album, with Dalgleish offering her best singing of the afternoon, wringing the emotion from the song while the middle eight, comprised of lines lifted from various “walking” songs, was a neat insight into the care they take when crafting their songs. A chance sighting in a Dutch hotel car park of a couple on a clandestine tryst provided the spur for the blemished love song, Friday Night, Tulip Hotel while Dalgleish’s response to Tammy Wynette’s anthem, No Matter What Tammy Said (I Won’t Stand By Him), despite its innocent sounding opening, remains a powerful condemnation of domestic abuse. With the band sounding quite powerful there were several dramatic moments. King’s sorrowful tale of a widower falling apart, I No Longer Take Pride, a real weepie with keening pedal steel saw Dalgleish stepping forward, as if from the grave, to offer her benedictions on her bereft partner with a shivering effect. The Embers and The Flame sprang into action with all the vim and energy of The Burritos’ Christine’s Tune, perfect country rock with the couple bringing their daughter, Mabel, on stage to add a recorder solo which was extremely impressive given her youth. The band then departed allowing King and Dalgleish to offer the sweet duet of Put Your Hair Back before the whole ensemble closed the show with a cracking rendition of their first single, 100,000 Words, a perfect summing up of My Darling Clementine’s ability to rejuvenate a classic genre with love and affection. It was nice to see that the support for two of these headliners came from local artists. Roseanne Reid, from Leith, has been the “one to watch” over the past two years since she first came to attention via the Radio Two Young Folk Artists Awards. Having announced plans to record her first album with Teddy Thompson in the producer’s chair, she was proud to tell her Saturday night audience that she would have a special guest star on the recording, one Steve Earle. Reid is something of a protégé of Earle’s but it’s still quite a coup for her. Anyway, as usual, she captivated the audience, many of whom were already familiar with her dry and dusty songs such as What I’ve Done and Amy, an excellent song about “misplaced friendship.” She did sing some songs destined for the new album, a bittersweet song for an ex along with one called River while she also performed what she said was the first story song she had written, Levi. A small town story with a hint of Bobbie Gentry melancholy in the lyrics it bodes well for Roseanne’s future. Closing with her love song for her fiancé, I Love Her So, a tender and moving ballad, she continues to impress one as an artist who should have a great future. Adriana Spina is a more established artist who has recently received some fine reviews for her second album, Let Out The Dark, with some comparing her to the likes of Mary Chapin Carpenter. 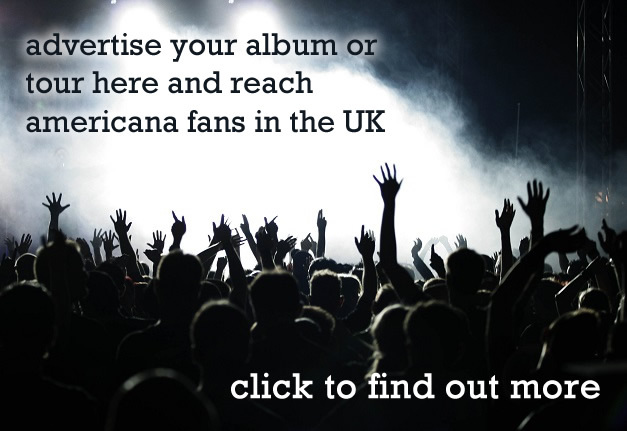 Having honed her act on several tours supporting Joan Armatrading, Eddi Reader, Dar Williams and Sheryl Crow, she’s a powerful and energetic performer able to deliver her songs live and solo without the sometime rock’n’roll sparkle employed on her albums. See Another Day was a fine example of this but she was well able to embody heartache on Where Are You, a song which allowed her impressive voice to swell. Two Steps was an impressive ode to the travails of the travelling musician and, from her first album, Jeannie’s Song, dedicated to her grandmother, was a grand tribute with a fine sense of Scottish fealty. And, in the aftermath of the death of Tom Petty, Ms. Spina sang a spirited Free Falling, the audience joining in. Hazy Recollections was a Saturday matinee show featuring short sets from five acts in the cosy confines of The Glad Cafe. The openers were a fledging Glasgow based duo, Saint Huck (Christie Connor-Vernal and Jamie O’Donnell), who parlayed a fine essence of male/female harmony singing in their fine self-penned songs. Good People Do Bad Things was a delicate ballad with their harmonies to the fore while Pale And Weeping Ghost was an excellent account of a supernatural encounter delivered in the vein of Long Black Veil. Very nice. Martha Healy, another Glasgow based country artist was up next and with Becky Brown on fiddle accompanying her she showed why some folk have been praising her to the moon. To Be Free was a classic country number with Healy showing some of her deep affection for Patsy Cline while Better Days, the title song of her debut album recalled artists as diverse as Emmylou Harris and The Dixie Chicks. Ms. Healy also offered us a magisterial reading of Cline’s Walking After Midnight which gave her a chance to really show off her powerful and nuanced voice along with some fine fiddling from Ms. Brown. 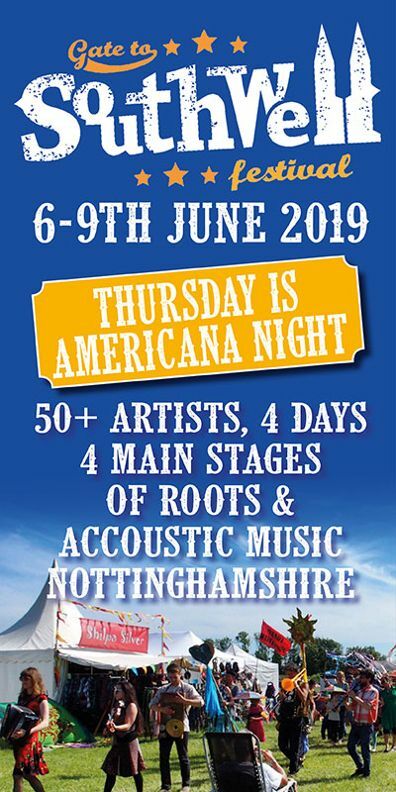 Not on the bill, but a welcome addition to the afternoon was Jill Jackson, once the front person for rockers Speedway, but now more settled into a rootsy singer/songwriter style. She’s a commanding presence on stage, her commentaries and asides taking almost as much time as her songs but the audience lapped it up especially as she had them in stitches as she recounted some issues she’s dealt with recently regarding her health with a fine dark humour. An excellent singer, proved by a wonderful cover of Will you Still Love Me Tomorrow, she also showed that underneath her “gallus” exterior she is subject to her emotions as she sang a fine tribute to her grandparents. On a roll, she was over running her allotted slot, but she ploughed on to end with a rousing rendition of The Travelling Clown with the audience joining in on the whoo whoo whoops. After such strong competition from two excellent female singers, Ags Connolly seemed almost sheepish when he got on stage but he soon hit his stride on what was essentially a warm up for his show at the same venue later on with Mark Olson. His beer (and tear) stained songs such as Nothin’ Unexpected, I Hope You’re Unhappy and Slow Burner were all top quality, evidence that he is one of our finest exponents of what has been termed Ameripolitan. Self-effacing with a sly wit, it was a pity that we were only offered a short set from the man. Closing the show, prior to her headline show later the same night, was Martha Fields with her two French wizards. Again, the set was all too short but suffice to say that after fine renditions of Southern White Lies, Hard Times and Bye Bye Baby, several of the audience were asking at the end if there were still tickets available for Martha’s main show. It was a wonderful afternoon and the artists were kind enough to hang around to chat at the end before the evening’s festivities commenced. Finally, we need to mention the show which opened the festival, a celebration of the late, great, Townes Van Zandt. Another compendium of artists who were asked to play two of Townes’ songs along with one of their own, it was a fine reminder of the man’s talent and how his songs live on and influence others to this day. Jonas & Jane, Rachel Sermani, Roseanne Reid, Norrie McCulloch, The Pearlfishers’ Davie Scott, Jefferson Hamer (of Child Ballads with Anais Mitchell fame) and an all female choir, For The Sake Of The Song, all participated. It was a moveable feast with several of the artists appearing on each other’s set to add harmonies and additional instrumentation and each of them offered up their reasons for their particular selections. Along with the expected choices, there were some deep cuts, Rachel Sarmani singing The Spider Song and Jefferson Hamer with Colorado Girl for example. It was an excellent night with our personal favourite being Norrie McCulloch who recounted a trip to visit Townes’ grave before singing his own tribute to the man, Mountain Blues, which is included on McCulloch’s new EP which is also dedicated to Townes. 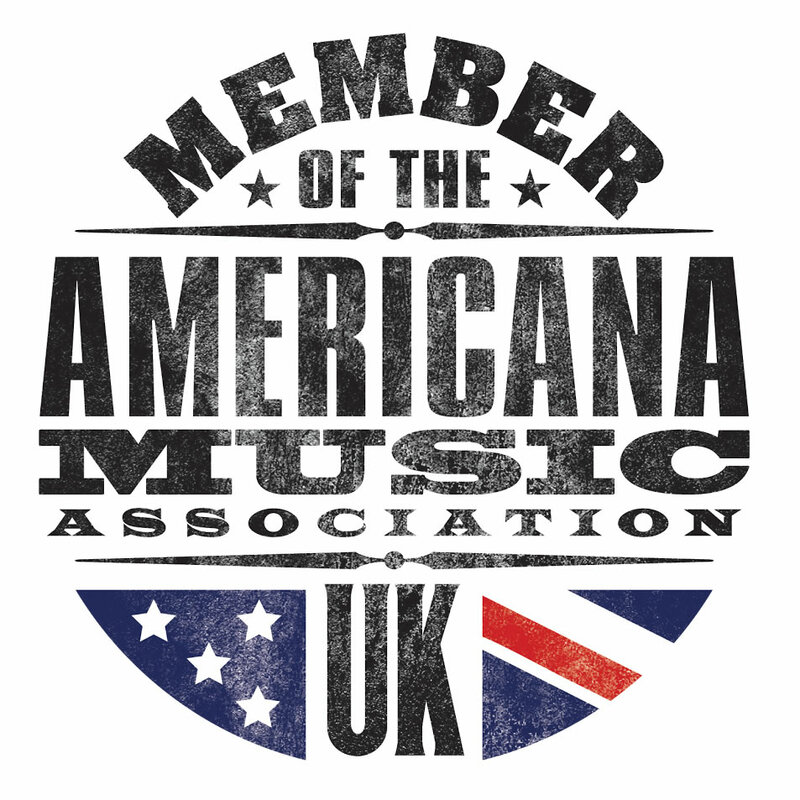 A welcome antidote to the darker nights, Glasgow Americana goes into its second decade with its head held high and hopefully the Scottish football team will not endeavour to have one of their “make or break” games coincide with next year’s concerts. Congratulations to the audiences who spurned the lure of the footie to come out and see some splendid musicians. What an excellent line-up – I am so jealous. That’s all I have to say.